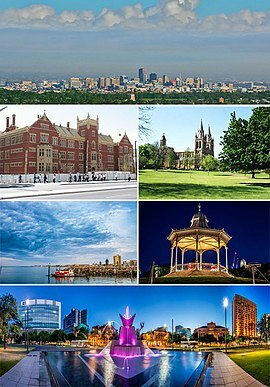 آدلاید (اینگیلیسجه: Adelaide)، گونئی اوسترالیا ایالتی‌نین مرکزی ایله ان بؤیوک شهری اولاراق، اوسترالیانین 5-جی ان بؤیوک شهری‌دیر. بو شهرین 1,304,631 نفر جمعیتی واردیر. بو شهرین اهالی‌سینه «آدلایدین» دئییلیر. ↑ 2011 Census Community Profiles, Code 4GADE (GCCSA). Australian Bureau of Statistics. یوْخلانیلیب28 February 2015. ↑ Great Circle Distance between ADELAIDE and MELBOURNE. Geoscience Australia (March 2004). ↑ Great Circle Distance between ADELAIDE and CANBERRA. Geoscience Australia (March 2004). ↑ Great Circle Distance between ADELAIDE and SYDNEY. Geoscience Australia (March 2004). 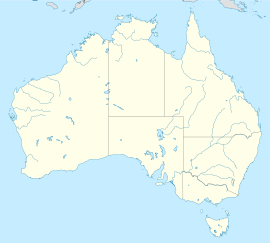 ↑ Great Circle Distance between ADELAIDE and Brisbane. Geoscience Australia (March 2004). ↑ Great Circle Distance between ADELAIDE and Perth. Geoscience Australia (March 2004). ↑ "Adelaide's European twin" (اینگیلیسجه). Salt, Bernard. Sunday Mail. یوخلانیلیب 16 April 2011. بۇ صفحه‌‌ سوْن دفعه ‏۱۲ دسامبر ۲۰۱۸، ‏۱۷:۰۰ تاریخینده دَییشدیریلمیشدیر.